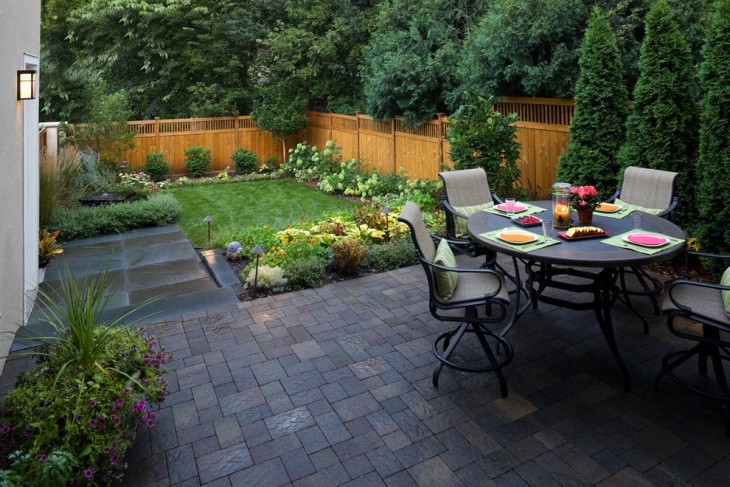 What comes to your mind when you think about backyards? 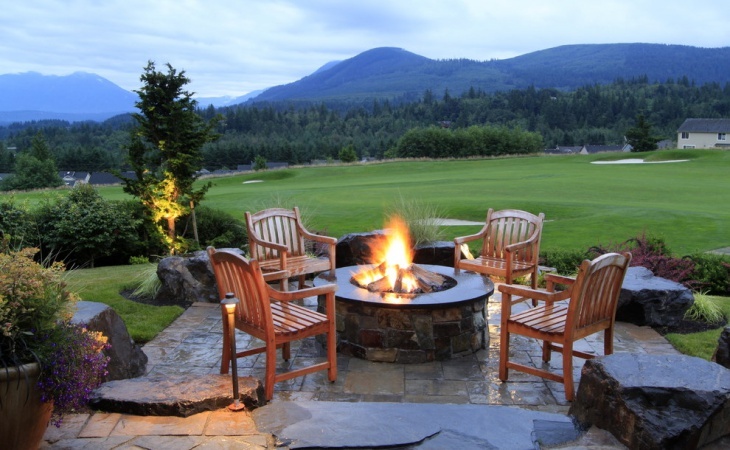 A landscaped garden, two chairs with a table with a cup of hot coffee kept on it and in case you are really lucky a lit fireplace to keep you warm through the chilled evening. 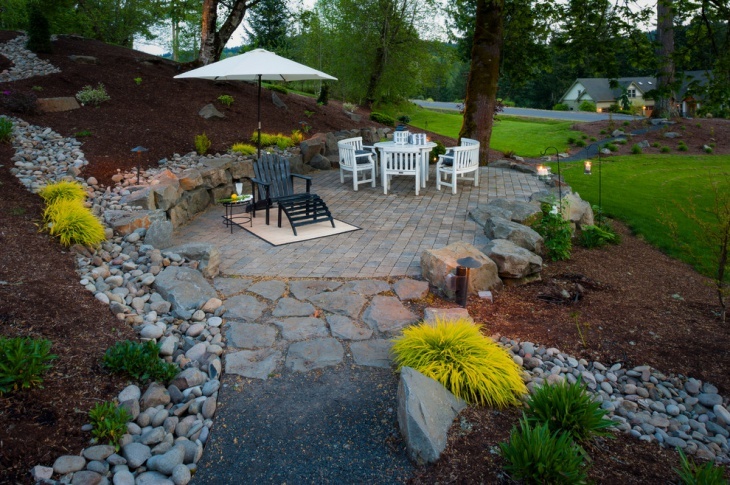 A beautiful backyard offers you this and much more. 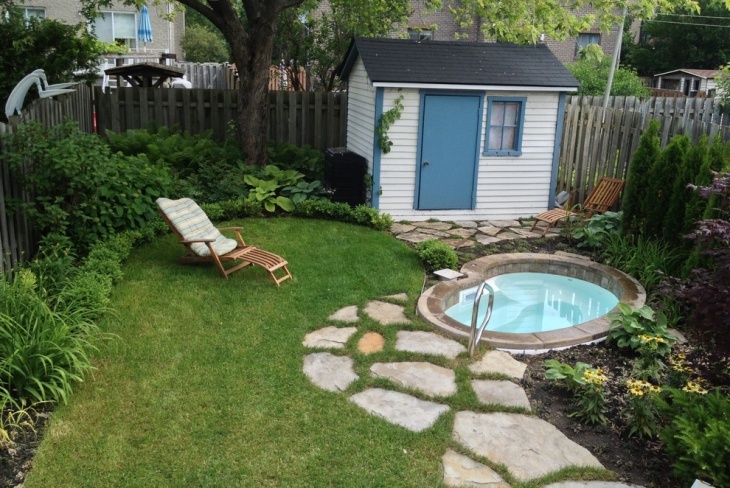 Simple remodeling can help you convert your backyard into your favourite place in your house. 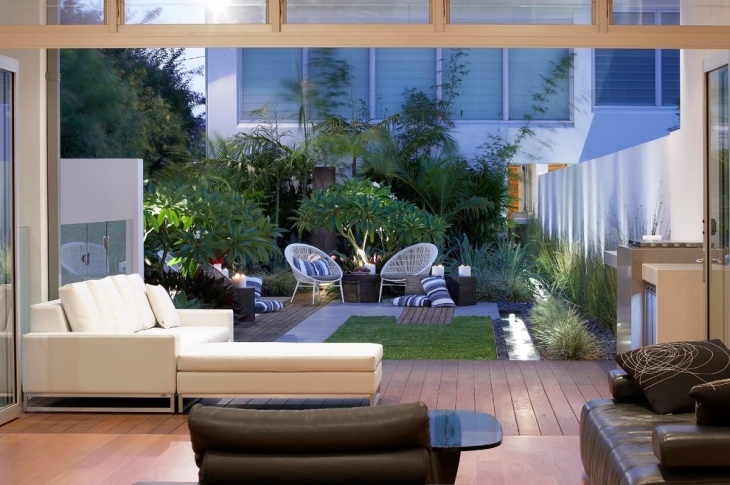 These designs will definitely help you redefine your backyard. 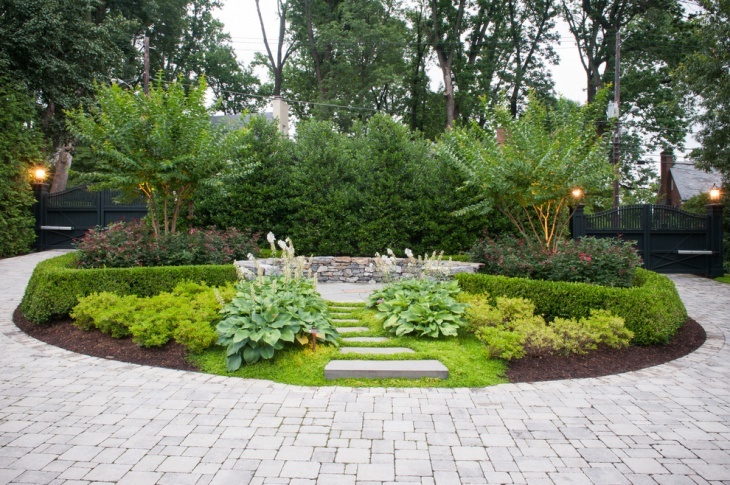 If you have a spacious backyard, get it landscaped. 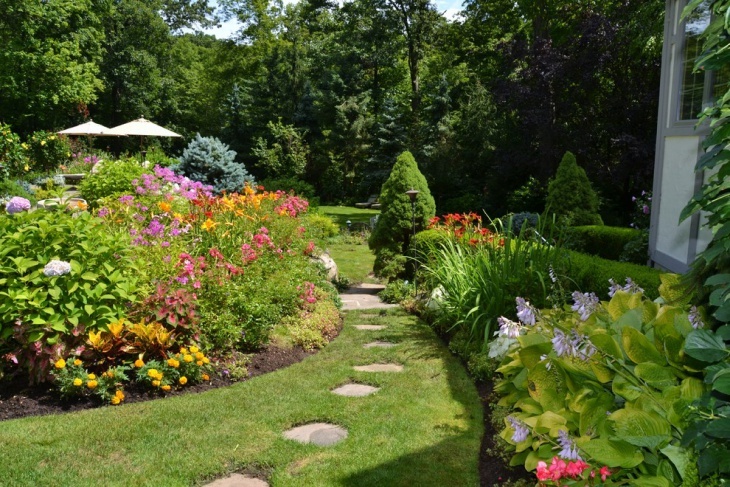 A beautiful lawn with smartly planned flower beds and avenue plants can change the look of your backyard. 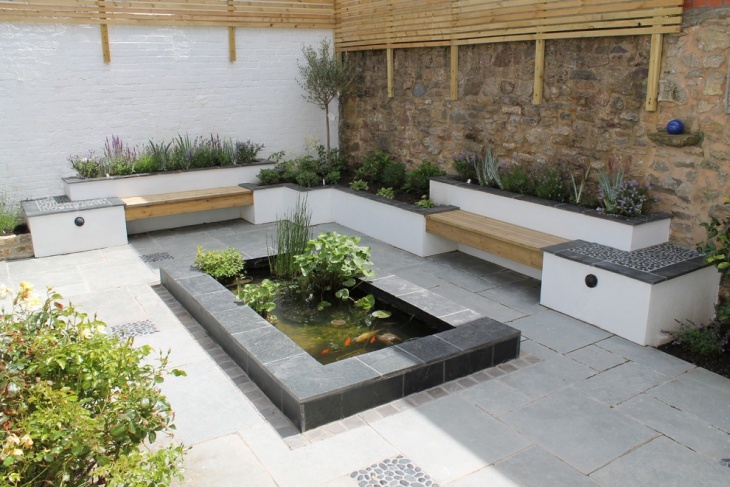 Personalise the landscape with paver tiles and separate seating area. 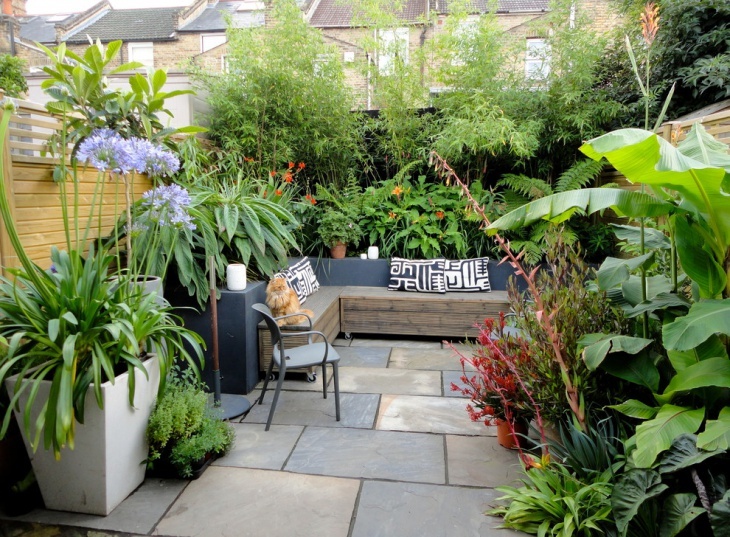 A garden bench or garden swing for two with cushions makes the space even more interesting. 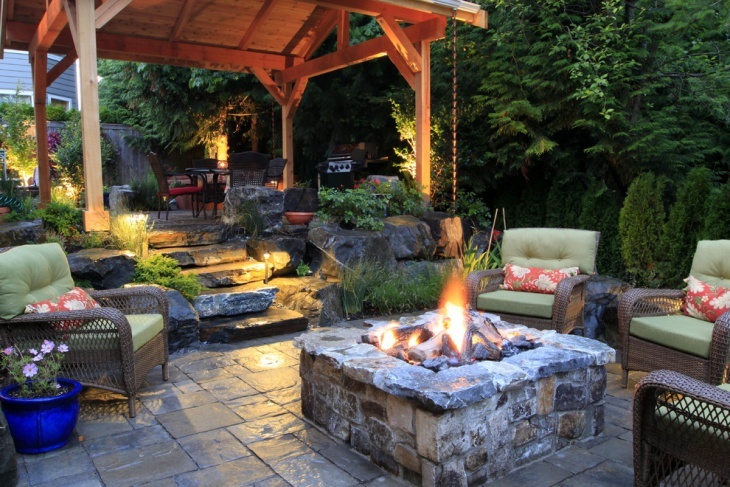 Convert your backyard patio into a relaxing seating area. On wooden deck flooring, place some layback sofas to enjoy the sun. 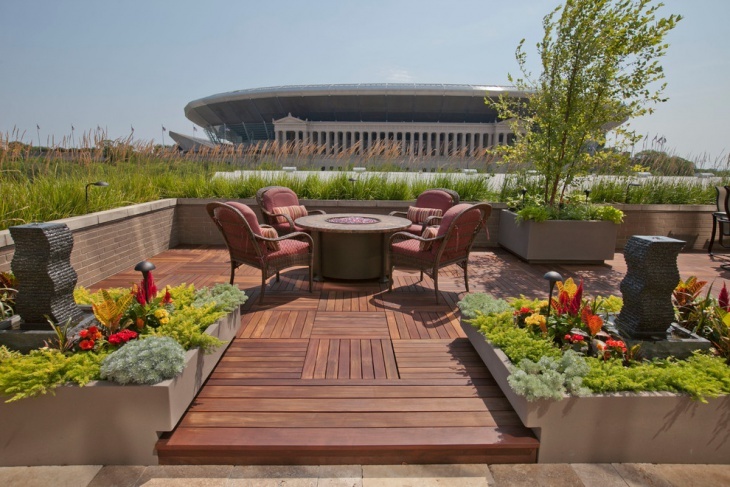 A wooden framework along the parapet with built in planters and seats enhances the look further. Flowering plants add colours to the setup. 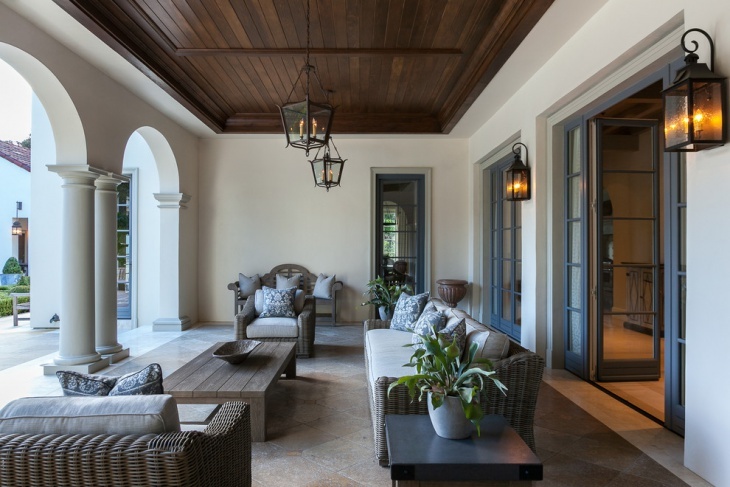 Use pendant lights to illuminate your patio. 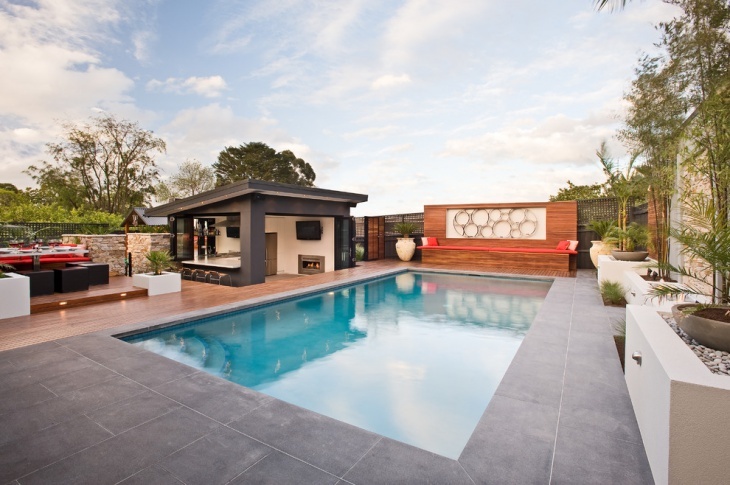 While redesigning your pool area, make sure you select perfect tiles which are durable and non-slippery. You can also opt for hardwood planks for decking. 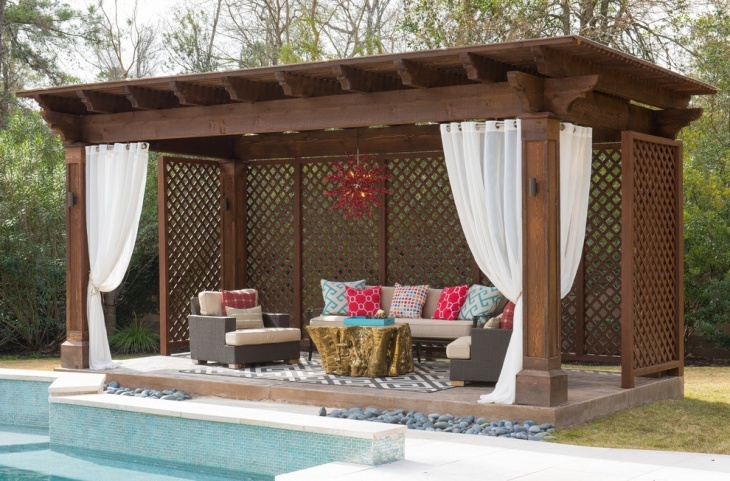 Make perfect poolside seating with sunbathing chairs with waterproof cushions and umbrella to provide shade from the sun. 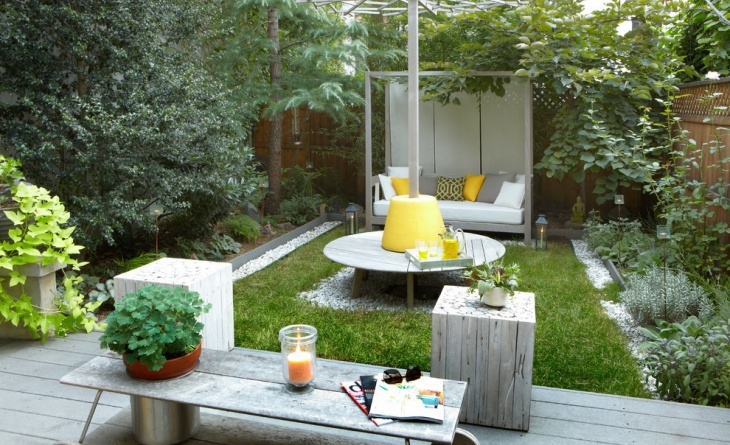 Small or big, you can convert your backyard into your personal oasis with a well-designed garden. 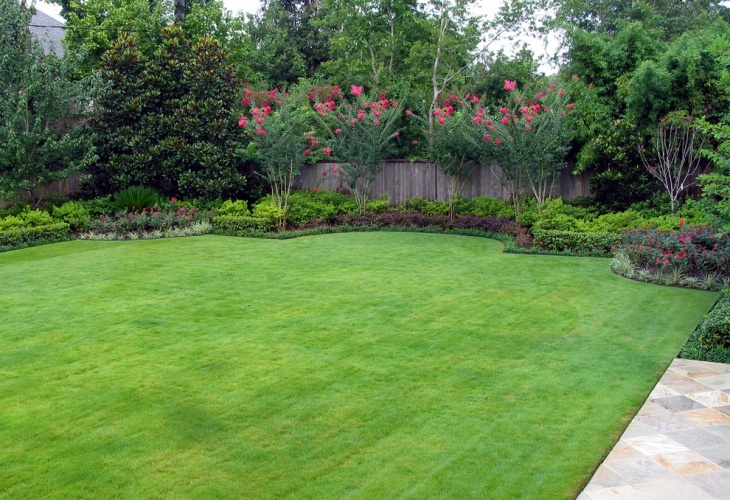 A neatly maintained lawn with concrete beds with clean edges towards the border changes the look completely. Neatly pruned shrubs and perfect lighting beautifies it further. Don’t stop yourself just because your backyard is small. 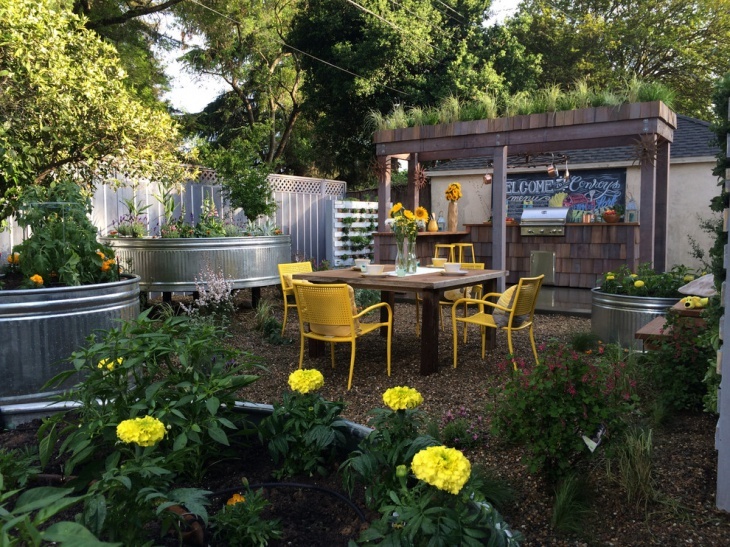 Instead of a lawn use wall brackets to develop a vertical garden which will leave more ground space to be used for seating. Use faux grass rug in the seating area to create an illusion of a lawn. 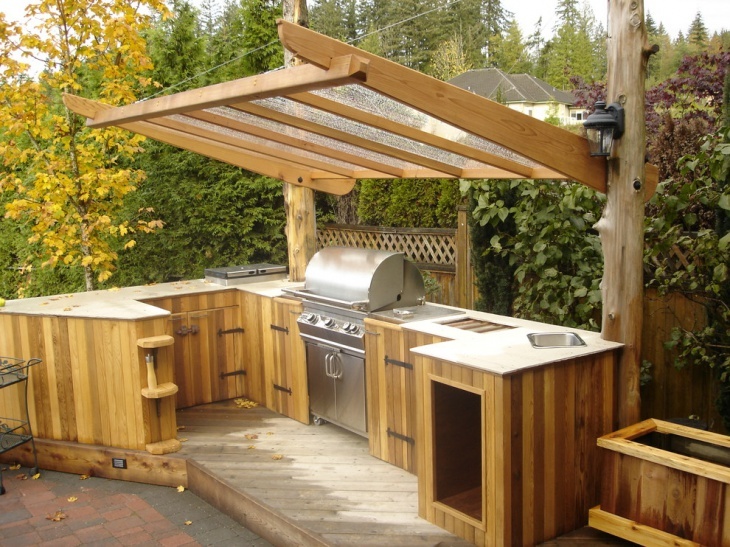 All you need to set up a beautiful kitchen in your backyard is a shade with beautiful lighting and a cooking range set in a perfect counter. You can have a plush concrete counter with clean edges and marble top or a wooden counter with a few cabinets at the bottom. 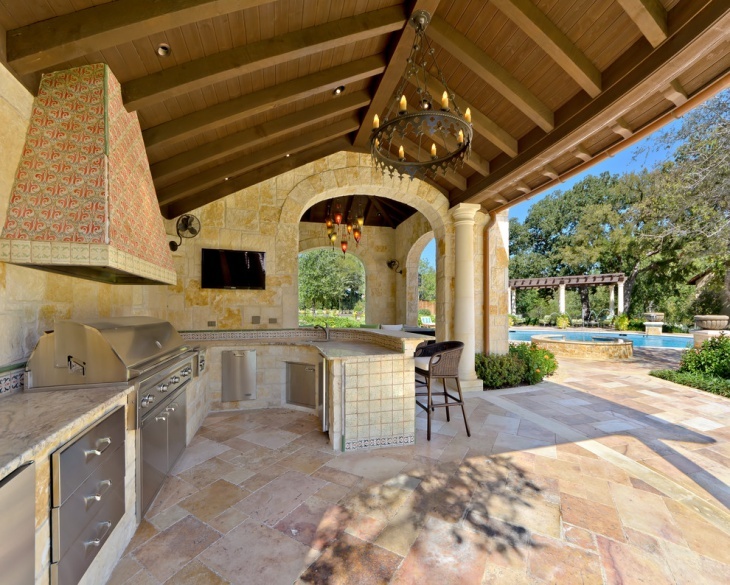 You can also have a stone structure supporting your cooking range. A kitchen island with comfortable dining set up enhances the functionality and look of the setup. 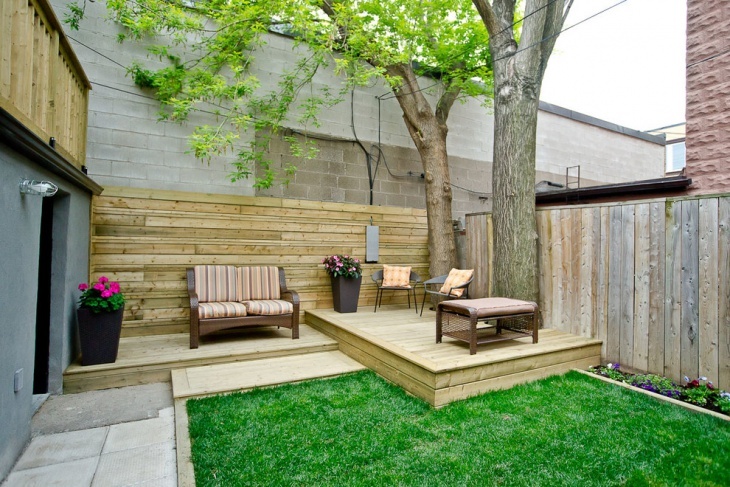 Clean backyard with wooden deck and straight fence wall give a sleek modern look to your backyard. Use light furniture with light coloured cushions to match the setup. 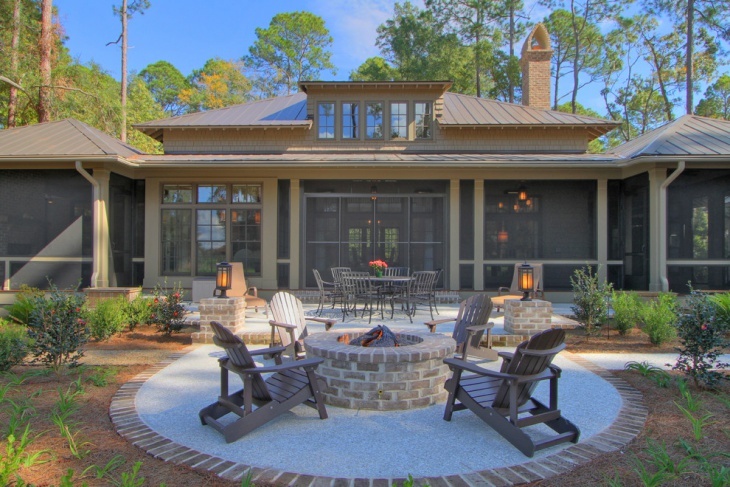 You can have a traditional fireplace with extended hearth and built in seating in your backyard. Throw in some colourful cushion to add colours. 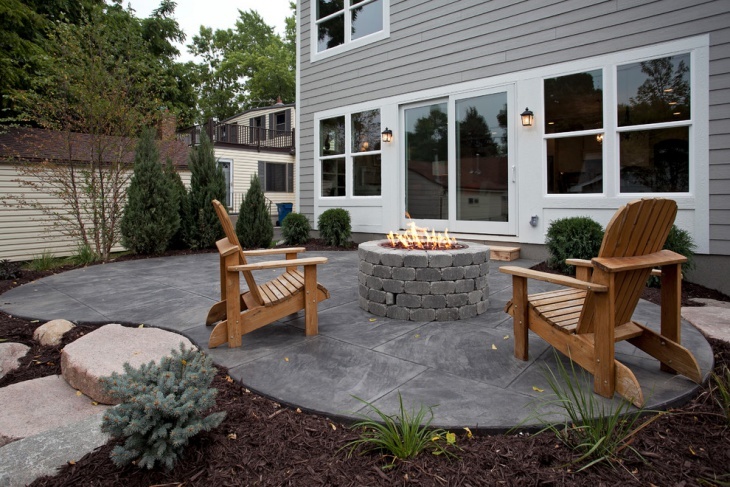 Get creative and set up a central fire pit instead with comfortable seating arrangement around it. 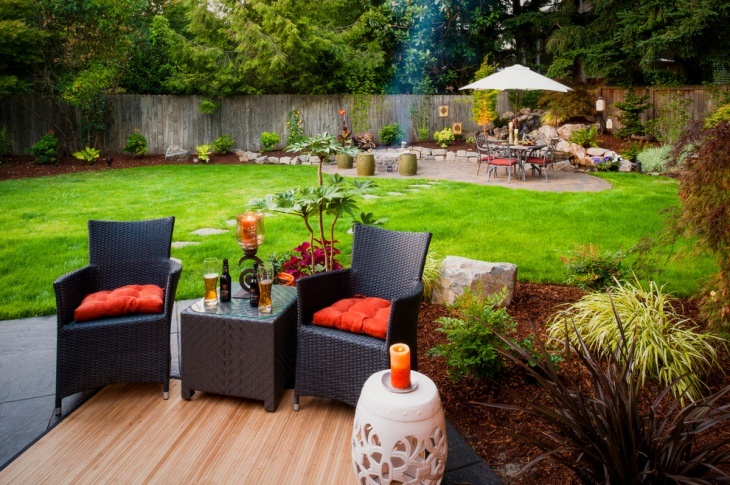 A wooden deck with black grill increases the attractiveness of your backyard deck. You can replace the grill with built in wooden planters which can be used for foliage or flowering plants as per your choice. 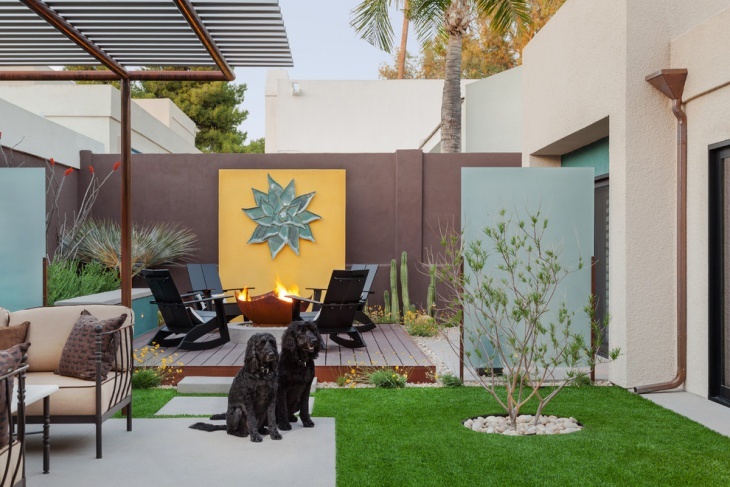 Use a light cane or metal furniture to match your backyard design. Don’t let your porch area go to waste. Make it more welcoming by simple remodelling. You can set up your fireplace to make this area more interesting. Use comfortable seating and improve the ambience with beautiful pendant lights. Use colourful rugs to add colour and style. You only need a shining marble counter with an ice tub at one side and storage cabinet below to make a bar in your backyard. Use high stools or chairs at the counter. Chairs and tables can be arranged separately as well to increase seating. Make your bar more interesting by using shelves with glass doors showing off your exotic liquor collection. 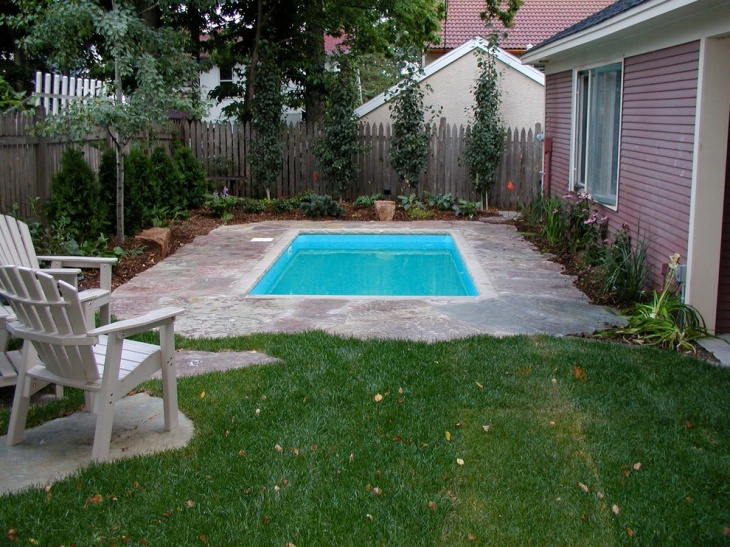 A perfect pool with a mini flower bed in one corner and stone deck flooring merging into the lawn adds style to your backyard. 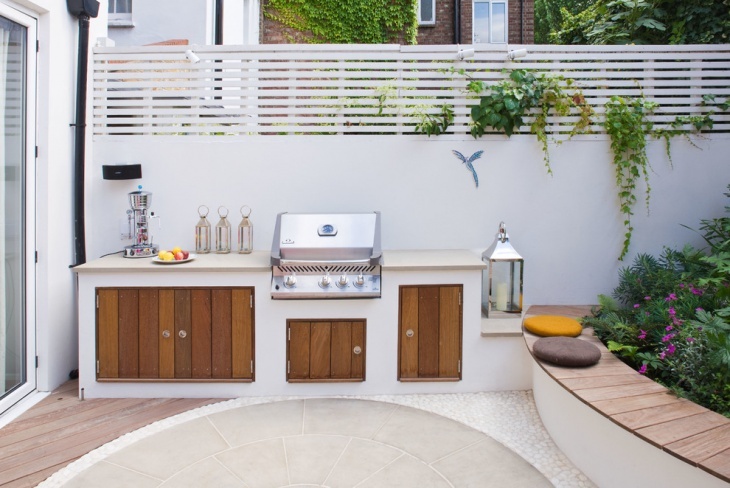 A sundeck with mini bar in the backdrop with high bar stools makes your backyard more lavish. 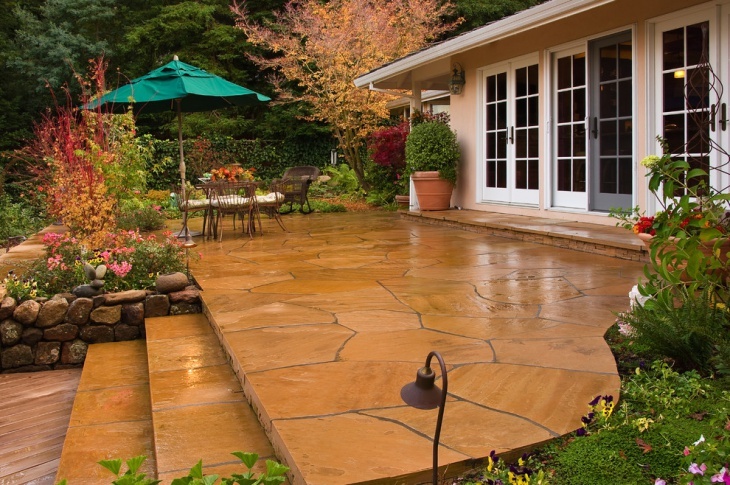 Use concrete tiles for flooring your backyard and use neatly pruned shrubs for edging. You can use small concrete beds to plant foliage and small garden trees. Use wooden furniture for seating. Use of greens and wood add colour to otherwise plain concrete structures. In an urban set up you can mix the features to get what you want. 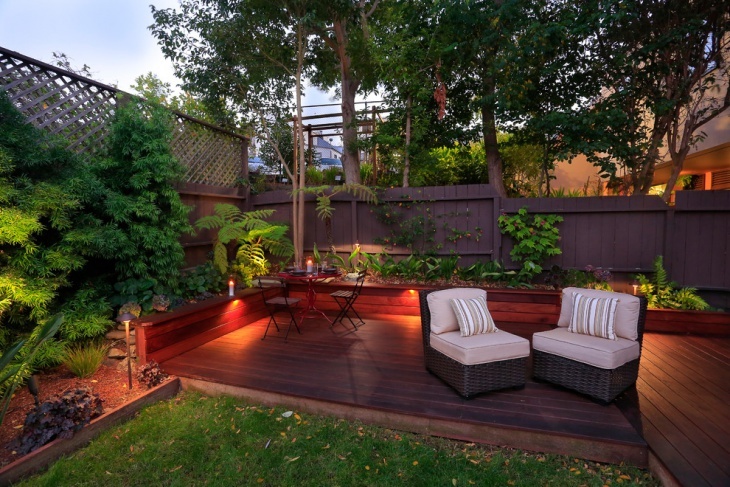 Give a miss to the lawn for an elegant wooden deck. Decorate your walls with a vertical garden instead and use pots to decorate your seating area. Use a glass to let the sunshine in. 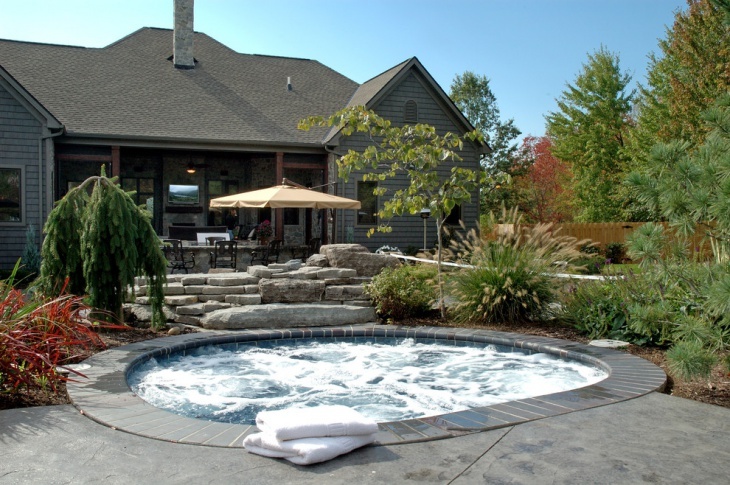 Convert your backyard into a relaxing SPA by use of SPA elements. Set up a hot tub surrounded by tropical plants and pebbles with wooden stepping. Use perfumed candles to add to your retreat. Contemporary designs are simple yet functional and attractive. 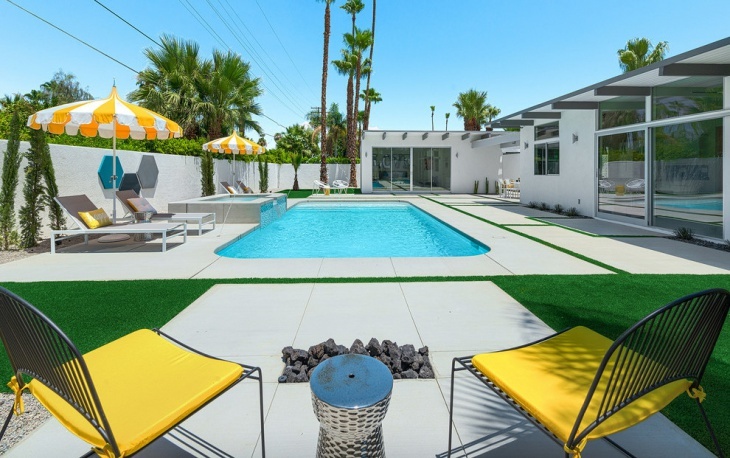 A concrete backyard with rectangular plunge pool looks every bit stylish. 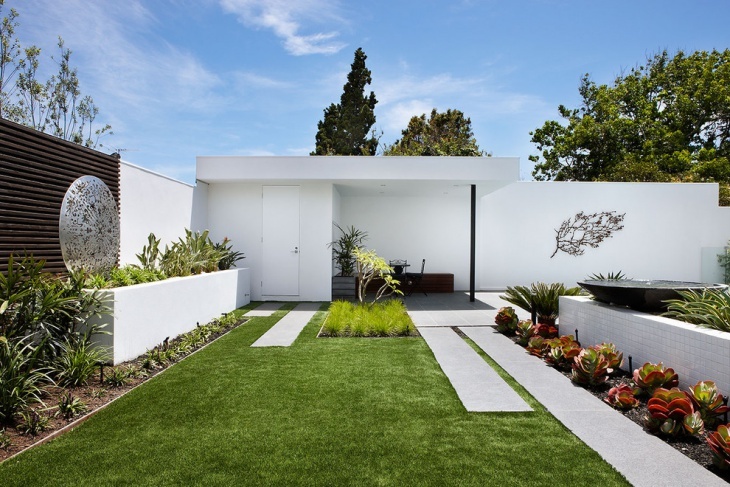 A neat concrete bed with foliage or flowering plants completes this modern look. 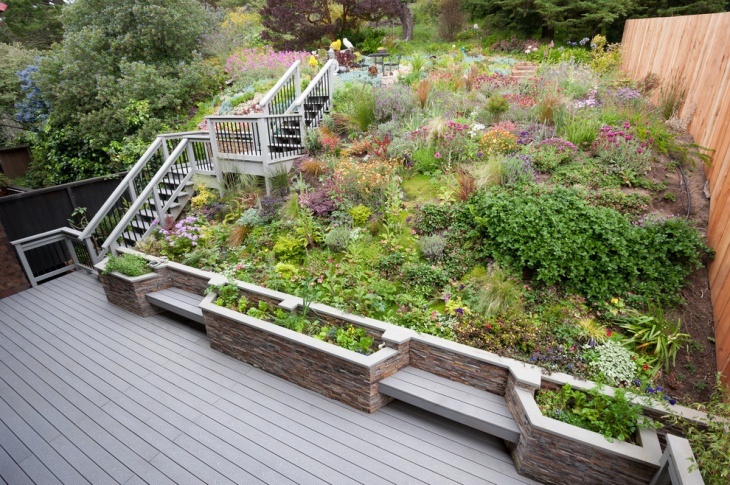 If your home is built in a serene hilly area, you need to include designs that utilise natural features. 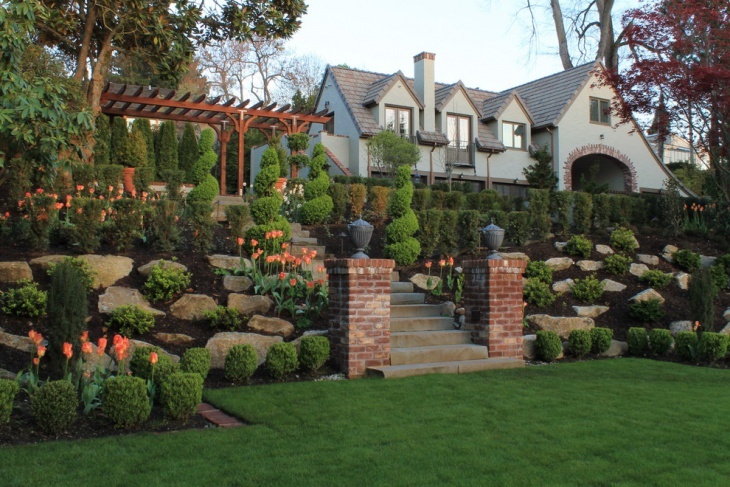 Include steps and stepped planters to your sloped backyard. Develop small flat surfaces into a separate green oasis. If you want to get an authentic vintage look rush to the flea market and get some vintage stuff. Metallic chairs with simple printed or striped cushions along with a centre table with glass top. Wooden or stone tiles on the floor and lots of greens add to the vintage look you wanted. 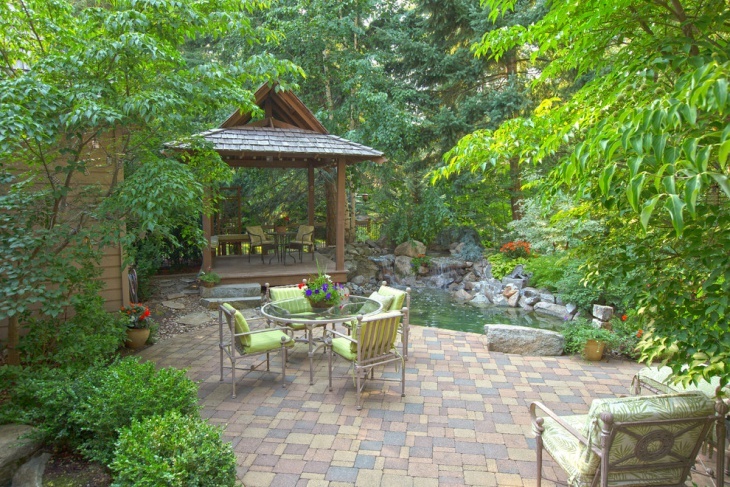 Use different pavers to define zones in your backyard. You can use concrete tiles in combination with pebbles or set them amongst grass to create an amazing visual. 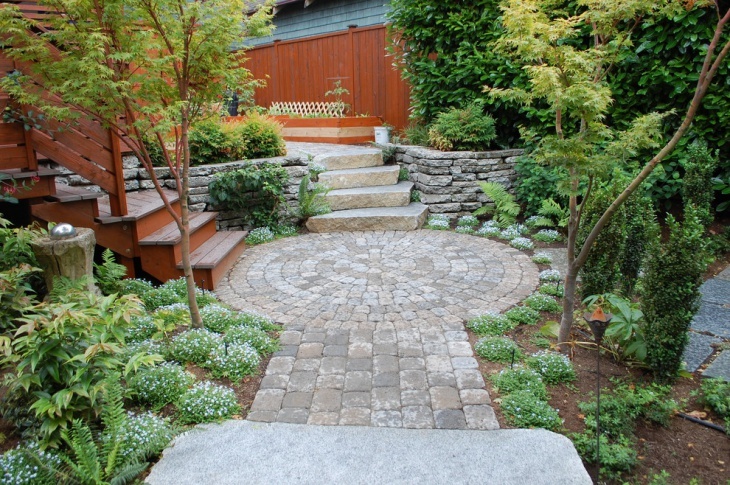 Use multicoloured stone tiles for a garden path going through the lawn. 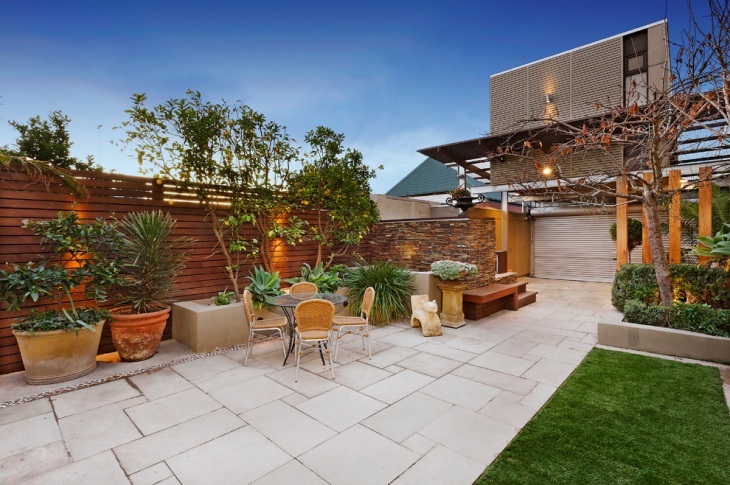 It adds colour and texture both to your backyard. Be creative with the pond in your background with irregular shapes instead of following geometric shapes. 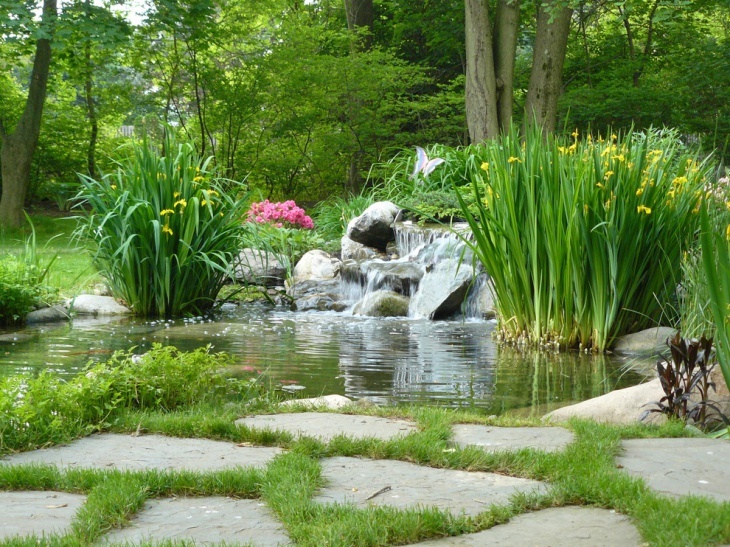 Line your pond with irregularly arranged rocks and bog plants. Some floating plants like water lilies will dramatically change your backyard pond into a feature straight from the rain forests. 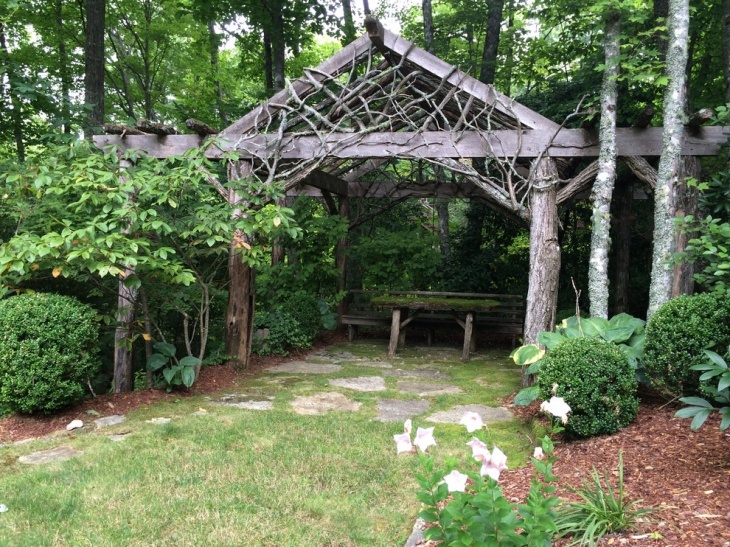 A beautiful backyard indicates your nurturing nature. It alleviates the look of your house and looks more inviting to guests. Your backyard is your personal retreat. 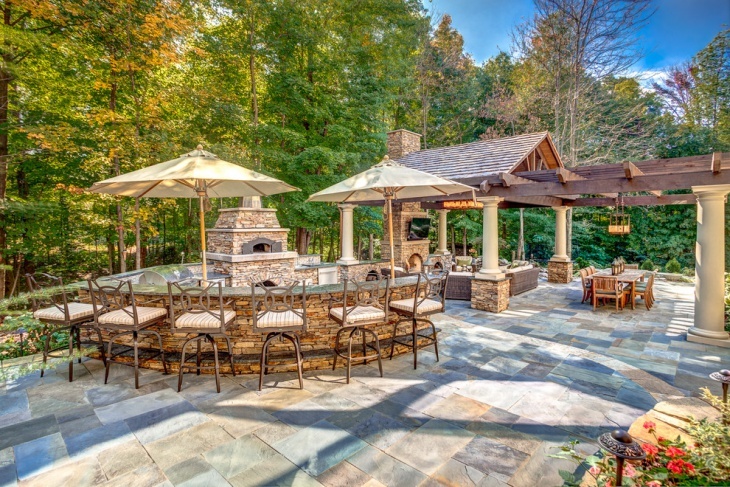 There are unlimited options to develop a backyard. It can be your private SPA and the green zone of your house. 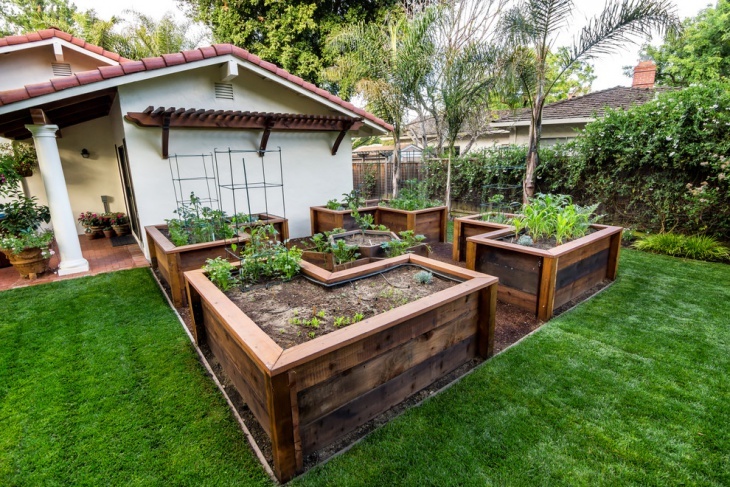 You can also develop your backyard into your vegetable garden and get fresh organic vegetables right at home. 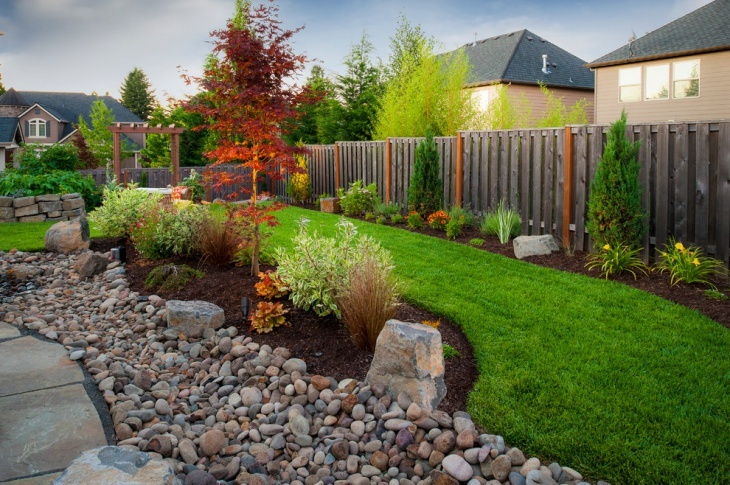 To maintain your backyard water your plants and lawn timely. Prune the shrubs when needed. 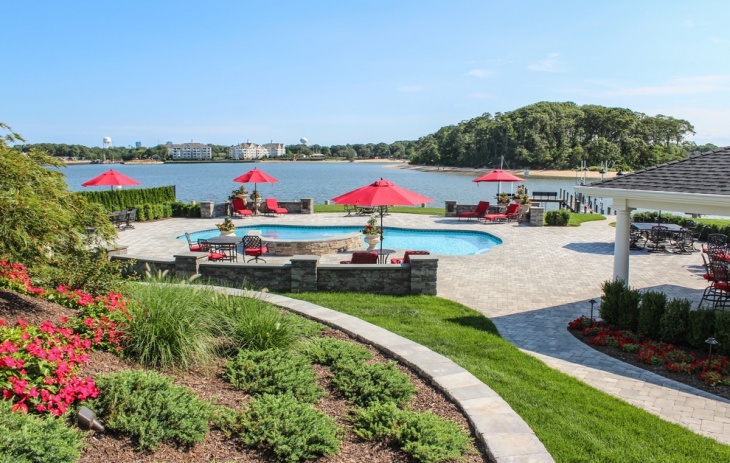 Clean the water in backyard pond and pool regularly to keep the beauty intact. 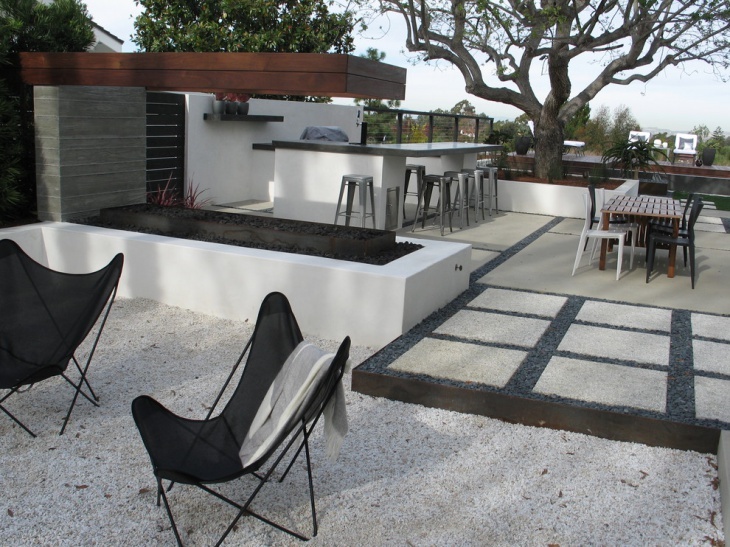 If you haven’t designed your backyard yet, take ideas from these design options. Your backyard can be the place where you enjoy a private SPA, swim, spend time gardening or sit with your guests sipping on a hot coffee. 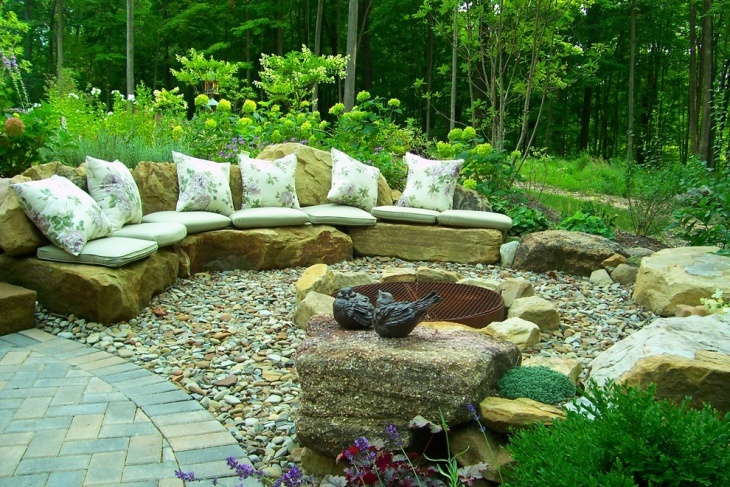 I am sure these designs will inspire you to remodel your backyard into a breathing oasis.